A QR code or Quick Response code is a two-dimensional matrix barcode first created by Toyota for automotive industry back in 1994 to track vehicle parts during manufacturing process. It is one of the most popular types of two-dimensional barcodes designed to allow its contents to be decoded at high speed. The codes are made up of black modules arranged in square pattern on a white background. The information encoded on the QR code can be made up of any kind of data like binary codes, alphanumeric, or Kanji symbols. It turns information or any kind of text data in to jumble of pixels that you can scan using your Smartphone immediately, without typing required. Recently, the system has become popular outside the automotive industry because of its fast readability and comparatively large storage capability. They already exist in magazines, shops, newspapers and many others. 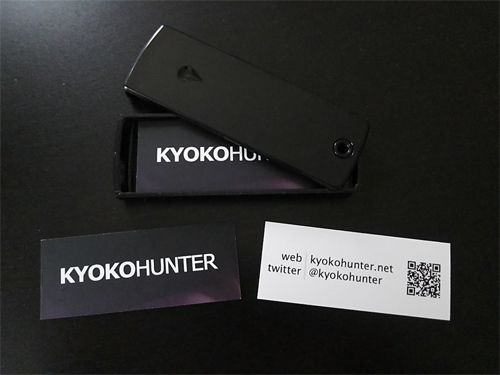 In today’s post, we have collected various business cards with QR code as a new surprising element included in their design that can make them really stand out from the crowd. 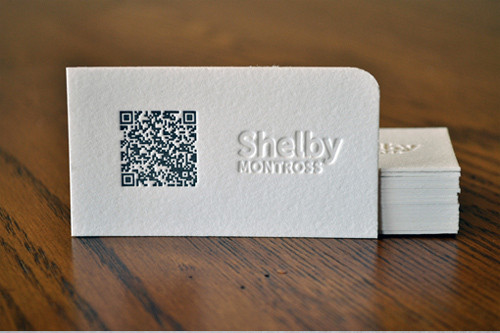 QR codes on business cards can be used to transfer different kinds of information. Such information are contact details and website address. The information can then be encoded to text and given out over the web and much more. If your phone does not have a QR code decoding capability, you may find QR code scanner applications on the web and install it on your iPhone, blackberry, windows, android, and many other popular carriers. 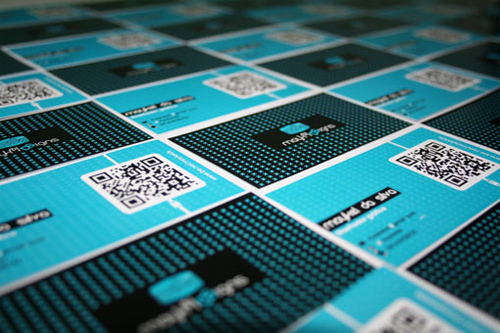 Here are the 34 Examples of Business Card Designs with QR Code for you to have some great design ideas in giving your own business card a twist. Check out this list. 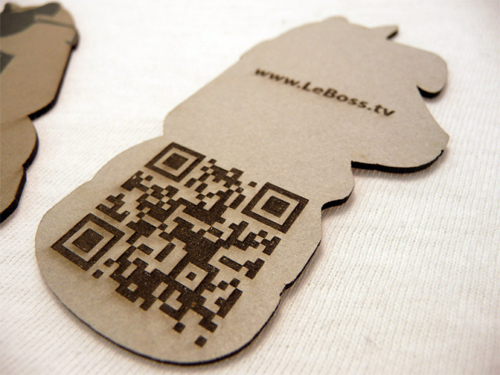 You might find this type of business card interesting for your business. Enjoy! 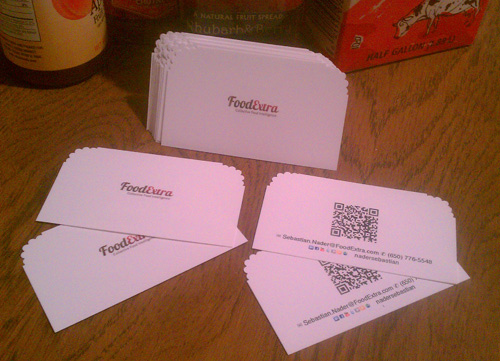 Business cards that were printed on a 16pt smooth-laminated cardstock. The text, monogram, and QR code were varnished with a spot Uv. A business card that was printed on a 16pt silk laminated stock w/ a spot varnish on the stripes and logos on either side. It features rounded corners and a great color scheme and was designed for web consultant Marty Vettel. 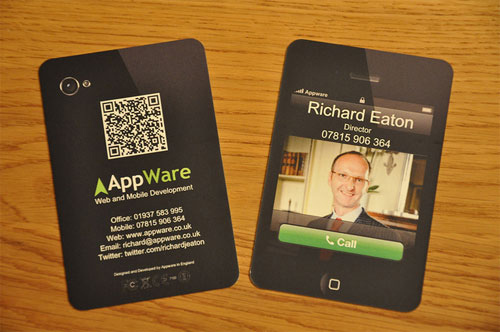 A business card that looks like a smartphone with a photo of someone calling on the front of the card with details and QR code on the back of the card. These are bold letterpress cards designed for Geotypografika. 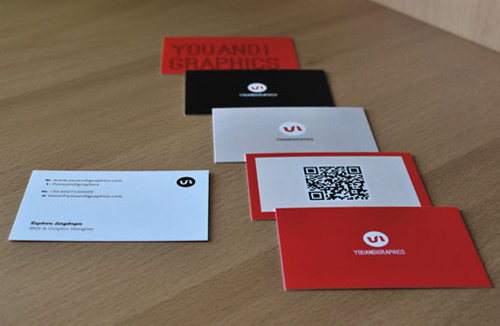 Personal business cards suitable for web and graphics designers. 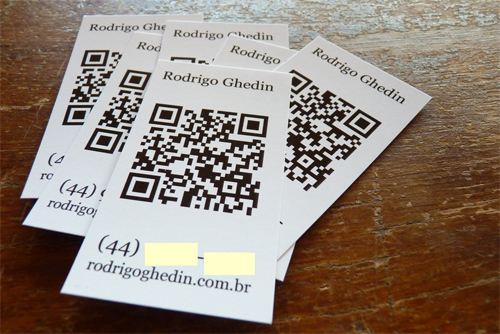 Personal business card of Maykel Da Silva with QR Code. 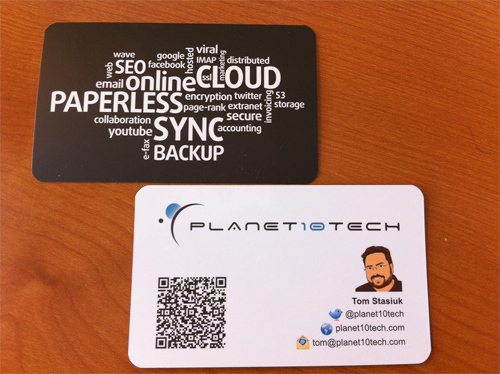 Business cards that were printed on 2 separate sheets of 24lb paper and were laminated. The star logo was embossed. The sides were spray painted with blue gloss enamel. 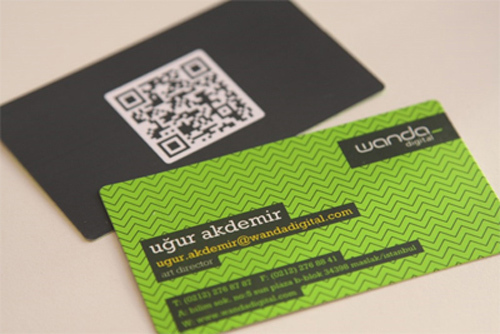 A business card suitable for personal and business use. 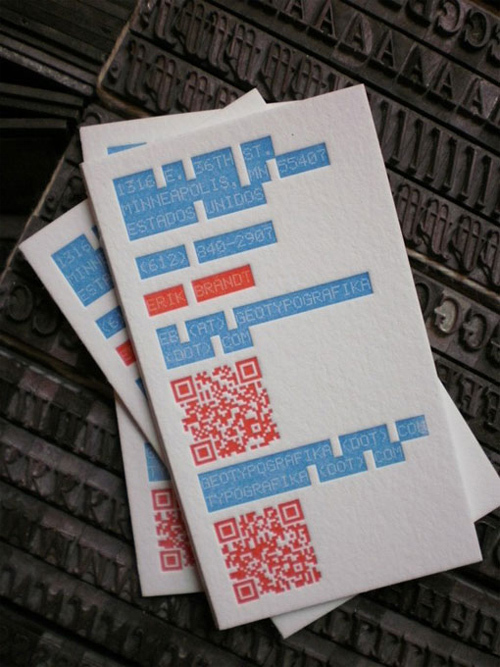 The QR code has been letterpress printed and can even be read using a smart phone. 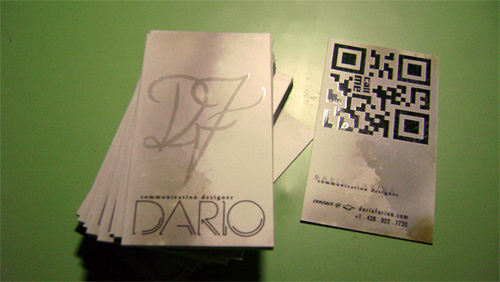 Business cards inside of the perforated, ticket shaped wrapper for Aquarius club with a QR code and information of the person. When it’s scanned, the contact is put directly into the Address Book of your phone. 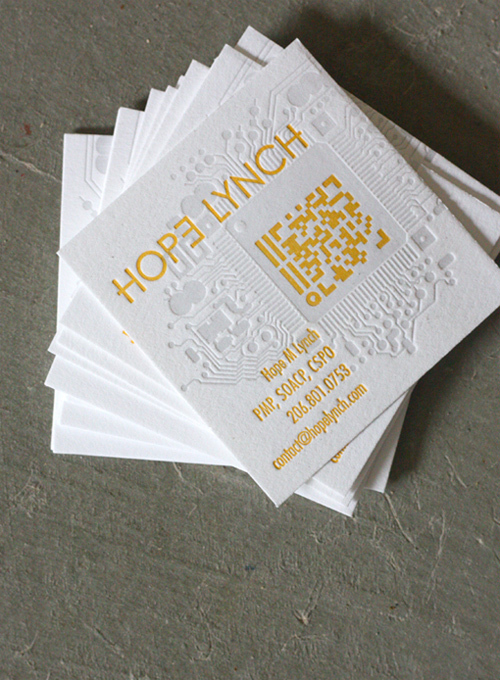 Business cards that were printed on a 1103 soft white lettra paper and having a size of 2.5 inches ×2.5 inches. 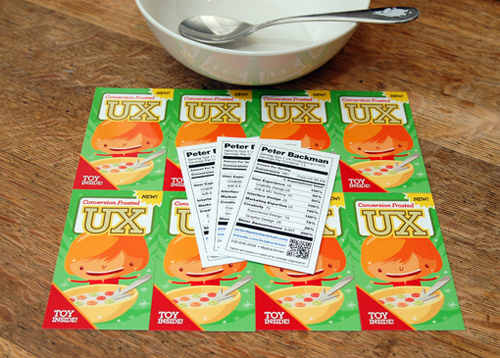 Business cards designed for a cereal product. Nutritional facts were written at the back of the card. 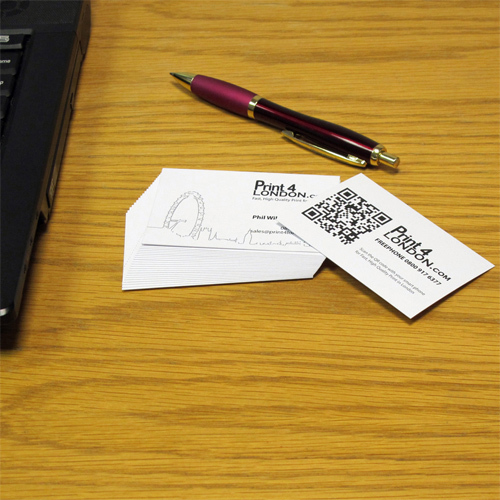 A business card made of a paperboard. A business card with a minimalist look and was printed on an ultra thick 4 ply cotton. A QR code was printed on the back of the card which is pointing to the bigfatmedia website. A business card designed for a collective food intelligence app. The design includes a bread slice at its corners that bring food feeling into the card. A business card design created for a website designer. 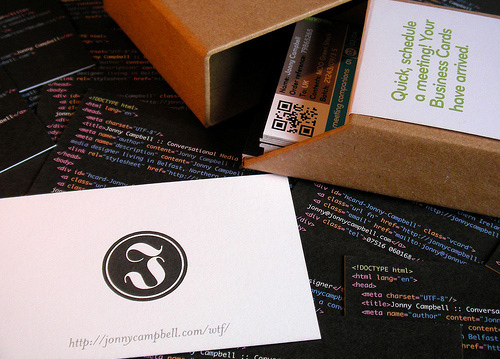 A business card with written HTML document along with some details coded as an hCard. 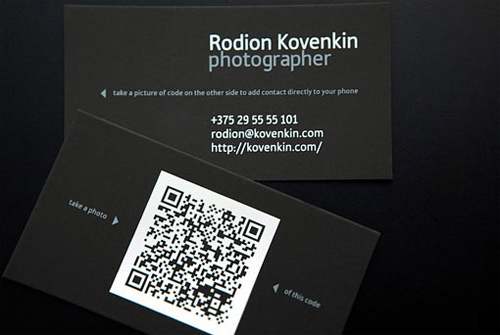 A business card designed for a photographer Rodion Kovenkin. 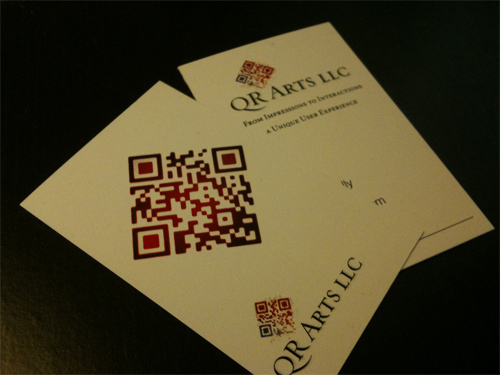 Another business card designed with a QR code. A black business card with a QR code. 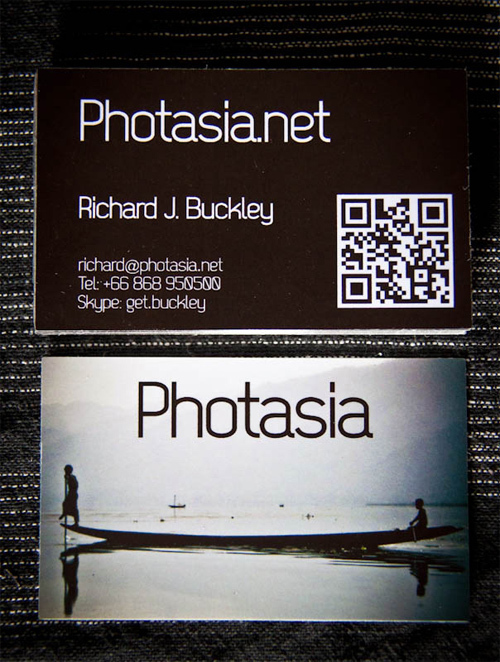 A business card designed for a photography website. A business card printed on a cartoon. 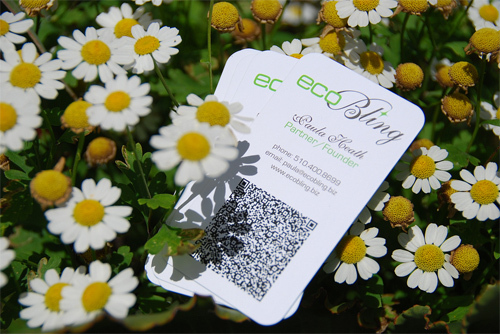 This business card design can be freely used for commercial or non-profit purposes. 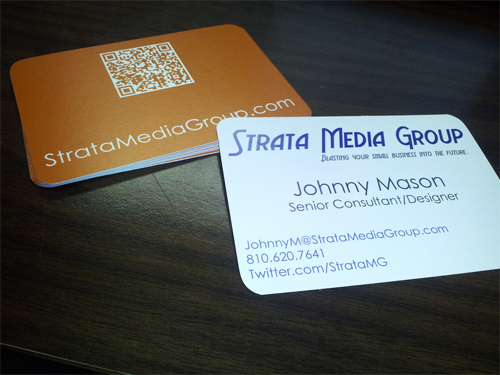 A rounded corner business card with a QR code that takes you to employee’s personal profile on the Strata Media Group website. The back of the card shows a different color with individual QR. 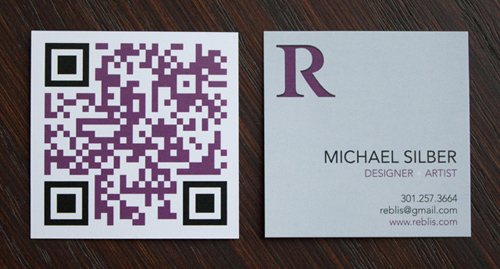 A business card with a QR code design. 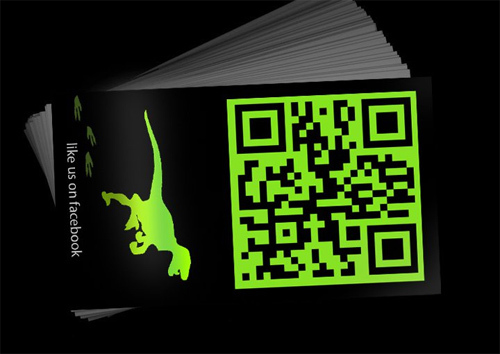 Another business card with a QR code design. 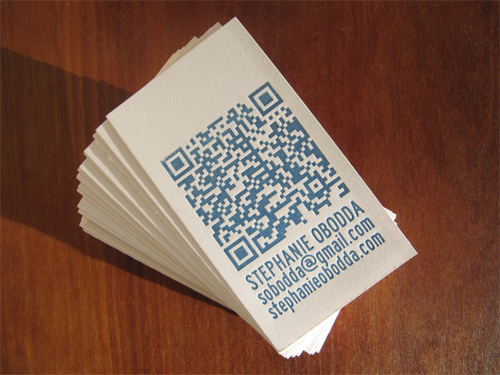 A letterpress business card designed with a QR code for a website. 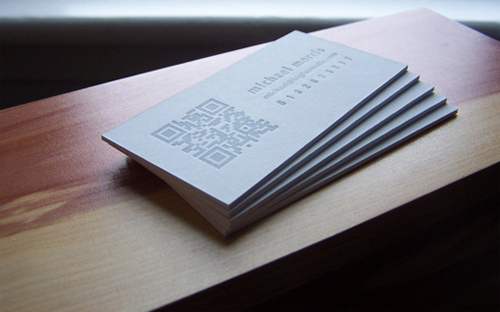 A minimalist business card with a QR code design. 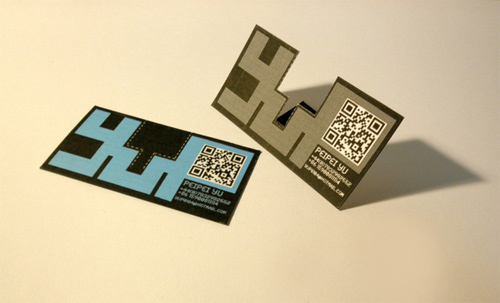 A business card which uses QR codes to attract more visitors. 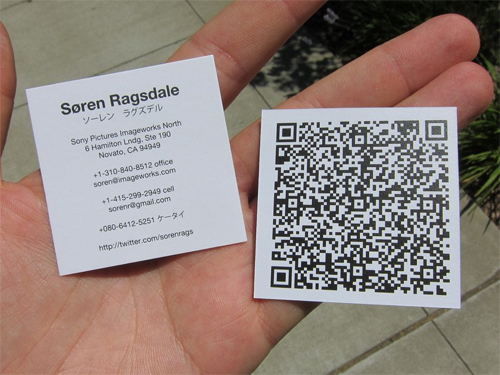 A business card with a QR-Code on the back. 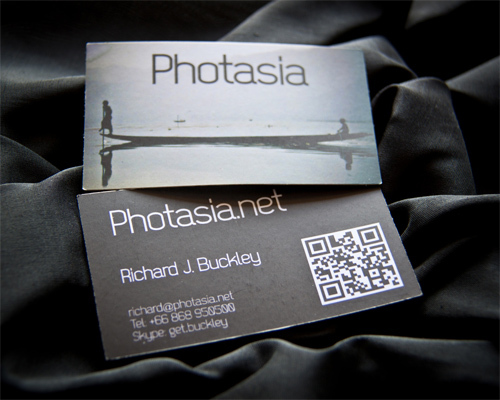 A business card made for a photography website. 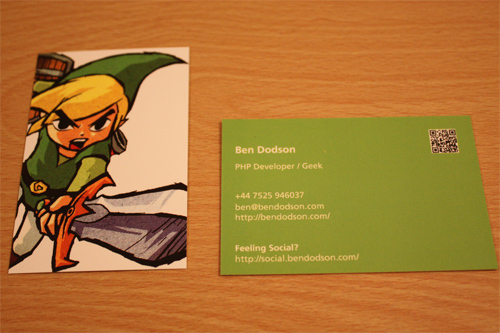 I like the wind waker Moo Business Cards. The color as well as the design is very attractive. It’s different from the other so formal business cards. For me it’s catchy and unique. If I were to design a business card I choose to create something like this. I personally like the business cards designed by StrataMediaGroup because it looks like an atm card and for me it will describe my personality and my work. It is good to share it with my friends that I am sure can appreciate the appearance of it. Whew! Amazing designs! I appreciate your hard work in sharing this to us. You gave me a lot of idea to come up with a new designs! Thanks to you! 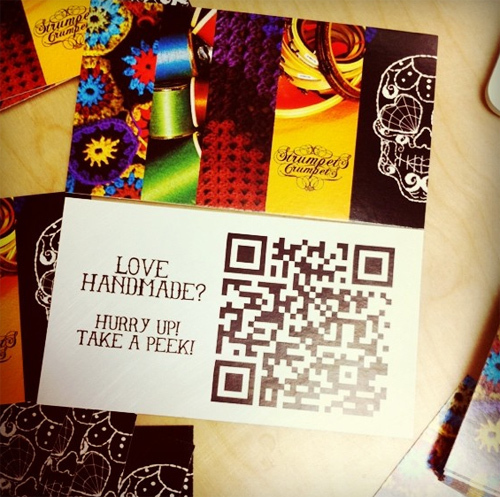 The colors and the design of the QR code Strumpets Crumpets Business Card is very captivating. And it is intended to a business man like me that I am fond of colorful cards and I don’t like a simple card. I choose to have a more colorful and expressive cards like this. 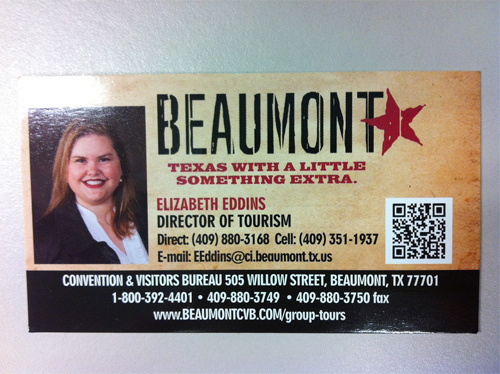 The Beaumont QR biz card looks like an identification card that you can distribute to your client. I like the catchy slogan that will positively attracts the attention of the client and for sure will keep it. It’s a great tool for marketing too. 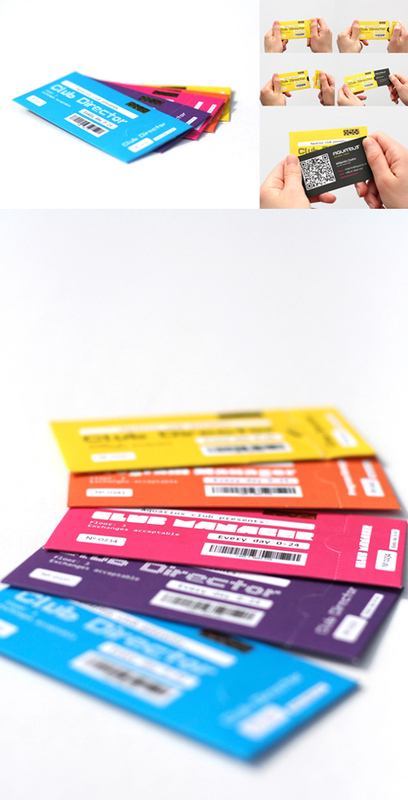 The perforated business cards caught my attention. 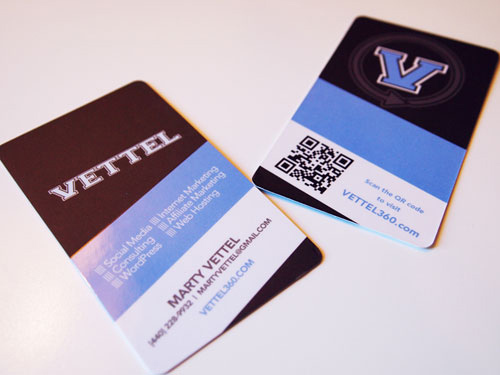 It is better than a business card made of paper it looks like a rubberized business cards. It will serve as a souvenir for your client, right? 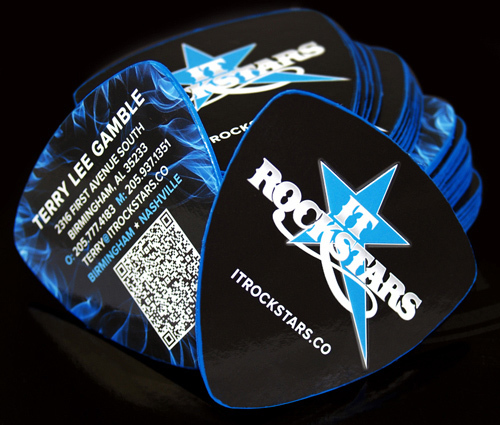 It’s still great to have some new options to choose from for business cards this year. Thank you guys for always being patient in sharing with us great stuff! These designs are not just professional ones but superb too! Well, there are always a lot of stuff to look forward to here in your site. Keep it up guys! i’d like my card colorful and so i picked QR code Strumpets Crumpets Business Card as one of the best ones in the collection. cool post! great set of business card collection you guys got here! thank you for always keeping us posted.. Your business card is your name too. thumbs up to this post!